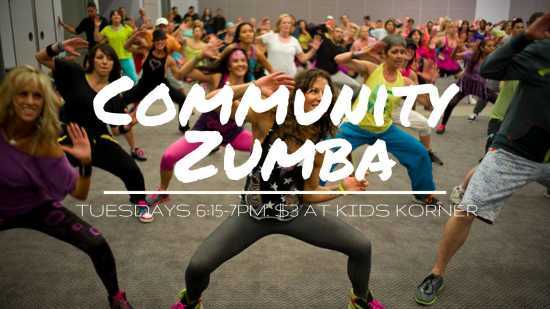 Every Tuesday night 6:15 - 7 p.m.
Zumba really is the most fun workout you'll ever do. Nobody cares if you don't know how to dance, if you're off beat the whole time, or you have to rest in between songs. Zumba is for you! A time to experience something new, a time to laugh at yourself, a time to bond with friends, and time to put your physical and mental health FIRST! Do as little or as much as you can, just do something!!! You deserve it!! Tuesday nights 6:15 - 7 p.m.
Childcare available for children 0-12 years old at $2/child. Children 10-16 yr are welcome to participate with parents permission for $1. I am so appreciative to Cape First Church for providing a building for our classes. Please be respectful of their facility and religious beliefs. We conclude every workout with heart of thankfulness and a short Christian prayer.